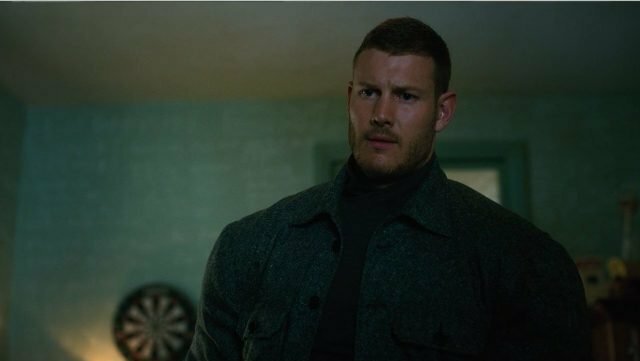 According to Deadline, The Umbrella Academy star Tom Hopper has signed on to join the star-studded cast of Lionsgate’s action-comedy sequel, The Hitman’s Wife’s Bodyguard. Hopper is set to portray the role of another bodyguard named Magnusson. Hopper will be joining returning cast members Ryan Reynolds (Deadpool), Samuel L. Jackson (Spider-Man: Far From Home) and Salma Hayek (Drunk Parents), who are all set to reprise their roles from the first film. Academy Award-winning actor Morgan Freeman (Million Dollar Baby), Antonio Banderas (The Mask of Zorro), and Frank Grillo (The Purge) have also been added for the sequel. Hopper gained recognition recently in the role of Luther Hargreeves on Netflix’s hit series The Umbrella Academy. He has appeared in the seventh season of Game of Thrones as Dickon Tarly. He’s other film credits includeTormented, Kill Ratio and I Feel Pretty. In the first film, the world’s top protection agent (Reynolds) is called upon to guard the life of his mortal enemy, one of the world’s most notorious hitmen (Jackson). The relentless bodyguard and manipulative assassin have been on the opposite end of the bullet for years and are thrown together for a wildly outrageous 24 hours. During their raucous and hilarious adventure from England to the Hague, they encounter high-speed car chases, outlandish boat escapades and a merciless Eastern European dictator who is out for blood. Hayek played the role of Sonia Kincaid, the hitman’s wife. The sequel follows bodyguard Michael Bryce as he was enlisted by Jackson and Hayek’s characters to join them on a mission along the Amalfi Coast. The Hitman’s Wife’s Bodyguard will again be directed by Patrick Hughes with Tom O’Connor to serve as the film’s scriptwriter. Millenium Media’s Matt O’Toole and Campbell Grobman Film’s Les Weldon are producing the sequel. Christa Campbell and Lati Grobman of Campbell Grobman along with Avi Lerner, Trevor Short, Boaz Davidson, Jeffrey Greenstein and Jonathan Yunger of Millennium are all set to executive produce. The Hitman’s Bodyguard was released on August 18, 2017 which grossed over $180 million worldwide. The R-rated film also starred Gary Oldman, Elodie Yung, Joaquim de Almeida, Kirsty Mitchell, and Richard E. Grant.